Aristocrat Leisure Limited announced that they will be replacing CFO Tony Korsanos with Julie Cameron-Doe. Cameron-Doe is still awaiting her final approvals from Australian regulators but all looks set for her to take up her role. Korsanos will be assisting Julie in the transition until March 2018 when he will officially leave the company. Cameron-Doe is extremely experienced in the financial world. 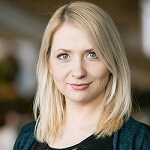 In her more than 20 year career she was involved in media, e-commerce and publishing across both Europe and Australia. She will be relocating to America for her new role. Managing Director Trevor Croker said that the company is very happy to appoint Julie in the vacant role. He pointed out her strengths as a strategist and a results driven manager who has already shown her value in the 4 years she has been with Aristocrat. Aristocrat has reported a strong financial year in 2017 with earnings growing by more than 40%. They have managed to not only hold their ground in Australia’s tough market, but they have managed to strengthen their position despite competition from Tabcorp, Tatts, Crown and Ainsworth. Aristocrat has also announced in November that they will be purchasing Big Fish Games based in Seattle for $990 Million. This is an attempt by the mainly land based gaming company to expand into social gaming. Big Fish is an industry leader in social casino gaming and after Aristocrat’s purchase of Plaruim Global earlier in the year; they have acquired a rock solid foundation for online expansion plans. Additionally since they have offices and many deals already in place in America, they are in a great position to take advantage of any further online gambling legalisation in the US which has seen 4 states so far legalise this form of gambling. Aristocrat will be paying $990 million for Big Fish, with $890 million being secured via a loan. 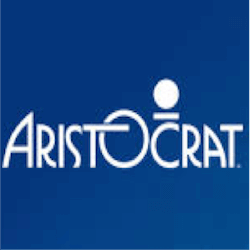 Aristocrat has been a leading force in Australian Gaming but they have expanded their sights significantly and did not see much loss from Australia’s recent crack down on online gambling. The company still has its land based gaming assets and their online expansion will more than likely be international rather than within Australia’s borders. With renewed investor confidence and a string of new acquisitions, Aristocrat is entering the new year with purpose and a new captain at the helm.